As Jesus Christ concluded the first day of His ministry among the Nephites, He administered the sacrament and commanded the people to pray always to the Father and to extend fellowship to all people. The Savior promised great blessings to those who keep these commandments. He then gave His twelve Nephite disciples instructions concerning their ministry in the Church. Before ascending into heaven, He gave them power to give the gift of the Holy Ghost. “The article was about a man named Czenkusch who runs a climbing school. … Czenkusch was describing to the interviewer the belay system in mountain climbing. This is the system by which climbers protect themselves from falls. One climber gets in a safe position and secures the rope for the other climber, usually around his or her own body. ‘You’re on belay,’ means, ‘I’ve got you. If something happens, I will stop you from falling.’ It is an important part of mountain climbing. Now note what followed next in the article: ‘Belaying has brought Czenkusch his best and worst moments in climbing. Czenkusch once fell from a high precipice, yanking out three mechanical supports and pulling his belayer off a ledge. He was stopped, upside down, 10 feet from the ground when his spread-eagled belayer arrested the fall with the strength of his outstretched arms. “Don saved my life,” says Czenkusch. “How do you respond to a guy like that? Give him a used climbing rope for a Christmas present? No, you remember him. You always remember him”’ [Eric G. Anderson, “The Vertical Wilderness,” Private Practice, Nov. 1979, 21; emphasis added]” (“The Grace and Mercy of Jesus Christ,” in Jesus Christ: Son of God, Savior, ed. Paul H. Peterson, Gary L. Hatch, and Laura D. Card , 48). Read 3 Nephi 18:1–11, and look for what Jesus Christ asked the Nephites to do to remember Him. You may want to mark the words remembrance and remember in verses 7 and 11. Why do you think it is important to always remember the Savior’s atoning sacrifice for you? How do you act differently when you remember the Savior? The Savior’s command to remember His body and blood would have been particularly meaningful to the people because they had just felt the wounds in His body only a short time before. Though you have not seen the wounds in the Savior’s body, as the Book of Mormon people did, you can remember His atoning sacrifice as you partake of the sacrament. In your scripture study journal, answer the following question: How has remembering the Savior’s sacrifice during the sacrament helped you feel gratitude for Him? Jesus Christ’s words recorded in 3 Nephi 18:7–11 teach the following principles: As we partake of the sacrament, we witness unto the Father that we are willing to do all He has commanded. 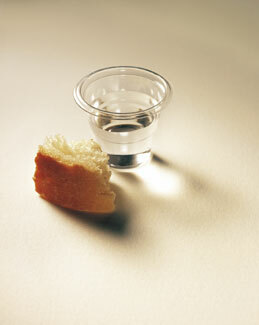 As we partake of the sacrament, we witness unto the Father that we will always remember Jesus Christ. Review 3 Nephi 18:7–11, and mark words or phrases that teach these principles. As you read verse 11, think about how you would feel if the Savior said those words to you. What are some aspects of the Savior’s life and ministry you might remember during the ordinance of the sacrament? What can you do to always remember the Savior during the rest of the week? If you sincerely strive to remember the Savior during the sacrament, how might this affect you during the week that follows? Identify another principle taught in 3 Nephi 18:7, 11 by completing the following statement with a phrase that explains what the Savior promised to those who partake of the sacrament and remember Him. As we partake of the sacrament and always remember the Savior, we will . Compare 3 Nephi 18:12–14 and Helaman 5:12. In your scripture study journal, write how partaking of the sacrament weekly can help you make Jesus Christ the foundation upon which you build your life. To help you remember the Savior more, record in your scripture study journal each day for the next week what you did to remember the Savior that day. You might include what you thought about during the sacrament or how remembering the Savior influenced your thoughts, words, and deeds. After Jesus Christ administered the sacrament to the Nephites, He taught them important principles about prayer. One of the principles He taught is: If we will be watchful and pray always unto the Father, we can resist the temptations of Satan. When we are watchful, we are spiritually alert, vigilant, or on guard. Read 3 Nephi 18:15–21, and mark words or phrases that teach the principle shown above. Why do you think that both watching and praying are essential to resisting temptation? Notice that 3 Nephi 18:15, 20–21 is a scripture mastery reference. Consider marking these verses in your scriptures. How has praying helped you resist the temptations of Satan? What can you do to improve your personal prayers? What blessings have you experienced from praying with your family? (see 3 Nephi 18:21). What can you do to help your family have consistent and meaningful family prayer? As we pray to Heavenly Father and draw closer to our Savior, Jesus Christ, we often want to help others draw nearer to Him as well. Think about someone you would like to help become closer to the Savior. Read 3 Nephi 18:22–24, and look for the following principle in the verses: As we minister to others, we can help them come unto Christ. “… Jesus Christ is the light that has been given to us so that we may follow and know where to go. [I pray] that each one of us may choose the right [so that we can] lift and strengthen those around us” (“That Ye May Be Children of Light” [Church Educational System fireside for young adults, Nov. 3, 1996], 6–7). Praying for others, inviting them to attend Church meetings, and setting a Christlike example are ways we can minister to others. Reflect on how you felt when you followed the example of Jesus Christ and helped someone else come closer to the Savior. What will you do today or this week to let your light shine so that those who follow you will also be following the Savior? After the Savior instituted the sacrament and taught the Nephites about prayer, He turned to the twelve disciples He had chosen and instructed them how to lead and direct the affairs of the Church (see 3 Nephi 18:26–39). Notice in 3 Nephi 18:26 that the Savior stopped speaking to the multitude and turned to the leaders “whom he had chosen.” His message in verses 28–29 was given to those priesthood leaders as a warning against allowing those who were unworthy to partake of the sacrament. Church members should focus on their own worthiness to partake of the sacrament and leave the responsibility of determining others’ worthiness to partake of the sacrament to those the Lord has called to make such judgments, such as the bishop or stake president. Read 3 Nephi 18:32, looking for how the Savior taught the disciples to care for those who had strayed from the faith. Think about how you could “continue to minister” to a friend, family member, or person in your ward or branch who has strayed from the faith. Consider spending a few minutes memorizing 3 Nephi 18:15, 20–21. Write the three verses on a piece of paper, and then practice saying them. After reading them a few times, start erasing or crossing out different parts of the verses while you continue to say the verses. You may want to repeat this process until all of the words have been erased or crossed off. As you are memorizing these verses, think about what the Savior was teaching. As recorded in 3 Nephi 18:15, Jesus Christ taught the Nephites how to withstand the temptations of the devil. Note the power that comes from prayer. Through prayer we can be given strength to resist temptation. President Gordon B. Hinckley shared this testimony: “God, our Eternal Father, lives. He is the Creator and Ruler of the universe and yet He is our Father. He is the Almighty and is above all. He can be reached in prayer. … Does He hear a child’s prayer? Of course He does. Does He answer it? Of course He does. Not always as we might wish, but He answers. He hears and answers” (Teachings of Gordon B. Hinckley , 468). Elder Dallin H. Oaks of the Quorum of the Twelve Apostles taught: “[In 3 Nephi 18:20] the Savior reminds us that faith, no matter how strong it is, cannot produce a result contrary to the will of him whose power it is. The exercise of faith in the Lord Jesus Christ is always subject to the order of heaven, to the goodness and will and wisdom and timing of the Lord. That is why we cannot have true faith in the Lord without also having complete trust in the Lord’s will and in the Lord’s timing” (“Faith in the Lord Jesus Christ,” Ensign, May 1994, 100). I have studied 3 Nephi 18 and completed this lesson on (date).